By the stone fence system from T & K.A we offer a high quality and affordable solution for your garden. 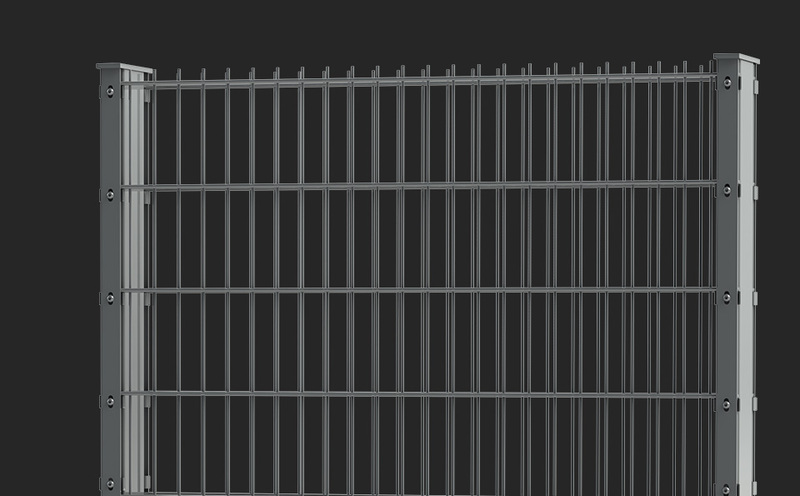 Applicable for perimeter protection as well as decorative elements and privacy fence the system provides a simple, fast and time saving installation with high stability and flexibility. The system offers a harmonious integration into the landscape. Filling the fence system with different types of stone is possible without any problems and offers a lot of individual design options. The stone fence system is available in heights from 630 mm–2030 mm and depths of 120 mm or 200 mm. Installation into concrete will be done by following the local specified static calculations. 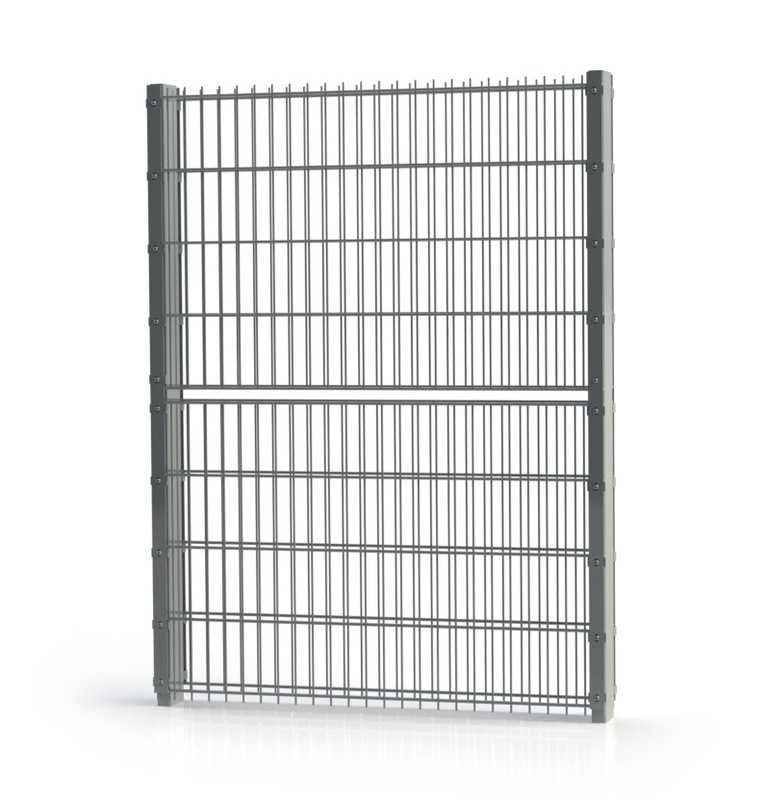 The stone fence system is hot dipped galvanized, statically tested and due to the used strong double bar panel 8/6/8 and the distinctive post profile extremely sturdy. ATTENTION: THE STONE FENCE SYSTEM IS NOT SUITABLE AS EARTH SUPPORT! Rectangular steel tube profile 120/40/3 mm or 200/40/3 mm, hot dipped galvanized according to DIN EN ISO 1461, metal fixation clamps every 200 mm, fitted by means of a threaded sleeve, flat iron 40/5 mm, incl. screws M8x40 stainless steel hexagon socket screws (Allen screws). Additionally for each post 4 pcs or 8 pcs. (depending on height) one-way security screws (prevent unwanted dismantling of double bar panels), for stabilization with hooks for cross connection. To make the installation easier we supply the stone wall system from a height of 1630 mm upwards with split panels. 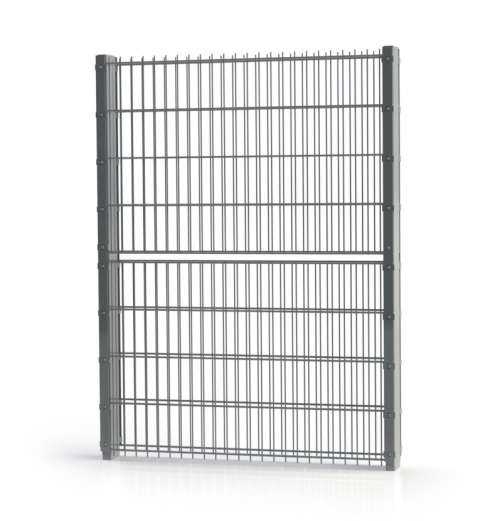 E.g stone wall height 1630 mm = 2 x 830 mm double bar panels/side. For all heights we recommend our stone fence cover. By installing this - the removal of single stones can be prevented. The T&K.A privacy fence stone baskets offer a perfect symbiosis of a natural stone wall, a steel panel mesh fence and the conventional gabion. 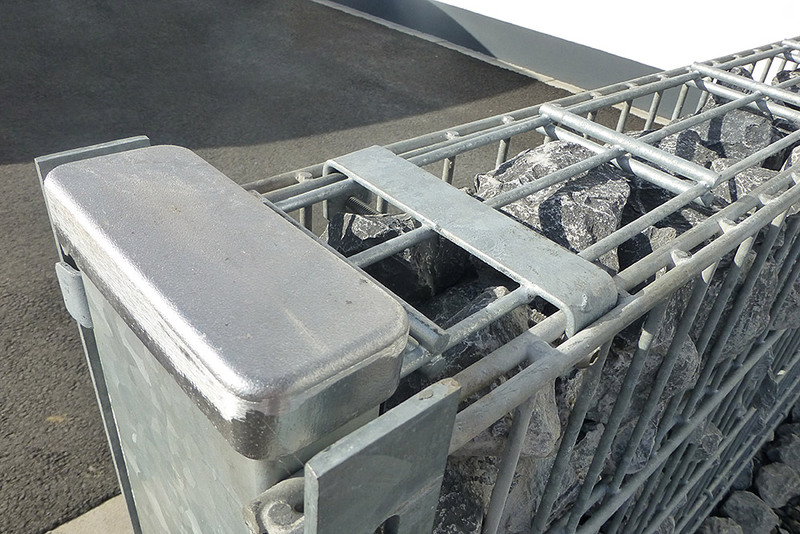 The baskets are manufactured to the highest quality standard, hot dipped galvanized according to DIN EN ISO 1461 and following the German GUVV regulations produced without sharp edges/corners. The baskets are extremely rigid and secure due to the double horizontal wires of 8 mm/single vertical wire of 6 mm and post sections 80/40/3 (height up to1400 mm incl.) and 100/40/3 mm ( height up to 2000 mm incl.). This construction makes additional bracing redundant and guarantees longevity. The T & K.A privacy fence stone baskets are a ready to use system, delivered for easy installation into concrete – additional screws are not needed in any way.